The Hooten Hallers at Wheat State Wine Co for the first time!! *Tickets: $20 per car load at the door *Doors Open: 7 p.m. *Concert Starts: 8 p.m. *Food Truck: Free-Range Kitchen *Wine & Beer will be for sale **NO outside alcohol allowed!! 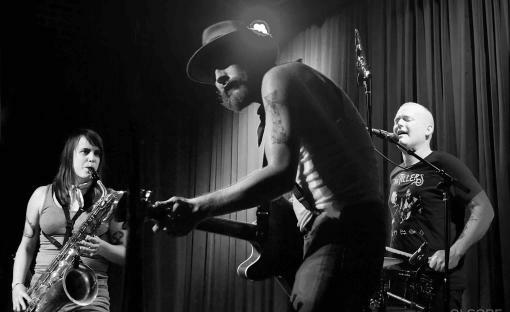 ---------------------------------------------------------------- Columbia, Missouri trio The Hooten Hallers are a high-energy blues-rock band known for hard-traveling and wild live shows, with a seemingly endless tour schedule. The myriad of influences in their music incorporates elements of rhythm & blues, rock’n’roll, honky tonk, jazz, soul, and punk with a thematic penchant for the strange and the unexplained. Their live shows take the listener on a seamless ride from unapologetically raucous blues on the lap steel and bass sax, to a sweet three part harmony country ballad, to a romping dance number. 2017’s self-titled album ‘The Hooten Hallers’ on Big Muddy Records, is the culmination of their experiences from a decade of performing and traveling together. They’ve injected the album with the stories and characters they’ve encountered over many years and miles. Produced by Johnny Walker (Soledad Brothers, All Seeing Eyes) and Kristo Baricevic (Big Muddy Records), the Hooten Hallers' latest effort showcases their evolution as musicians and songwriters. It garnered attention by Vice’s Noisey - "This album rules"; Rock'N'Reel (UK) - "This is a band that really understands and exudes the history of rock and roll"; Impose Magazine - "another stunner of a music collection"; New Releases Now - "one of the most dynamic live shows around"; AXS - "This album is sheer madness in the best way"; Ground Sounds - "gritty, groovy, and bluesy”; amongst others. Dec 21, 2018 welcomed the release of a new album, ‘Live in Missouri’, recorded at The Blue Note in Columbia, MO earlier in the year. This new recording closely captures the intense energy of The Hooten Hallers in concert, with a combination of improvisation, extended versions of songs, and many fan favorites. 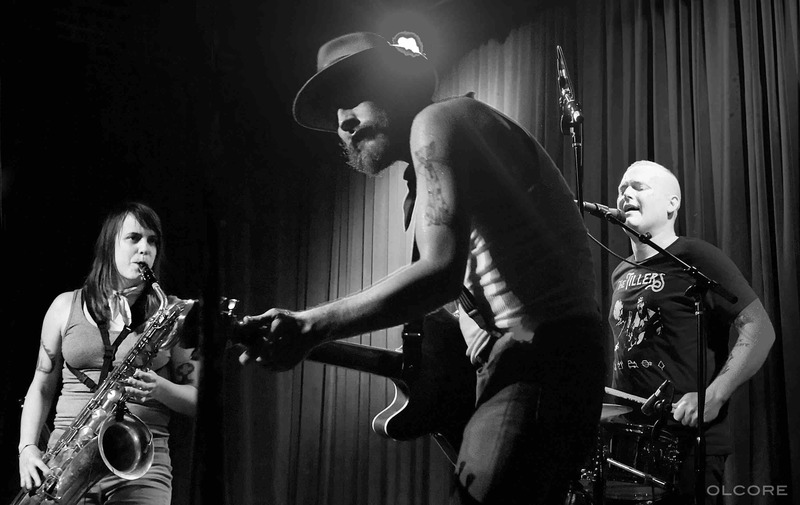 Listeners often detect hints of George Thorogood, Morphine, and Tom Waits, but anyone who has seen The Hooten Hallers live knows that this power trio is unlike anything they’ve experienced before. John Randall’s demonically-tinged vocals and manic guitar, and Andy Rehm's screaming falsetto vocals and steady, pounding drum beat keep the band focused on their unique blend of deep blues and country punk. Kellie Everett brings the power with the deep rumble of her baritone and bass saxophones. When The Hooten Hallers come to town, you know it’s gonna be a party!